Sydney, Australia: The indefatigable Dr Gene Sherman is once again at the forefront of establishing innovative cultural exchange, announcing today the evolution of Sherman Contemporary Art Foundation (SCAF) with the establishment of Sherman Centre for Culture & Ideas (SCCI). Dr Gene Sherman will present the first SCCI program in April 2018 with a new creative focus on contemporary fashion and architecture, after a decade of presenting more than 35 projects through SCAF, her not-for-profit foundation. 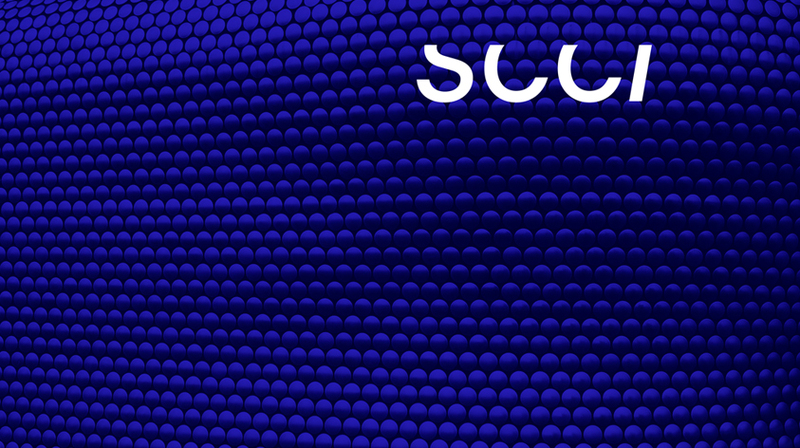 SCCI is a unique, event-based cultural enterprise with a defined five-year time horizon (2018-2022) – an original platform for the exchange of ideas within the broader framework of culture. Dr Gene Sherman, Founder and Executive Director of SCCI, said: “Contemporary art has become the flavour of the month or perhaps the decade. Audiences flock in unprecedented numbers to exhibitions of work by living artists – an amazing turn around during the course of my three-decade professional life as gallerist and exhibition maker. Earlier blockbusters often focused on ancient artistic traditions: Chinese bronzes, Egyptian mummies and the like. Discussions, presentations, workshops, lectures, podcasts, blogs – in-short, a multiplicity of oftentimes illustrated verbal exchanges on the work of contemporary artists now routinely take place in museums, private galleries, universities and across various online platforms”. “By comparison, fashion, costume and textiles, as well as architecture, urban environments and engineering feats, in my opinion, seem to be somewhat neglected. I invariably look to forge a path and fill a perceived gap, SCCI is designed to do just that”, continued Dr Sherman. SCCI will feature two annual ‘Hubs’ – concentrated two-week programs of activity built around two core mediums: SCCI Fashion Hub, to be staged in Sydney each spring (April/May), and SCCI Architecture Hub, to run in autumn (September/October). Each Hub will comprise topic related events incorporating words, music, film and cuisine. In a major new cultural partnership, the Museum of Applied Arts and Sciences (MAAS), University of Technology Sydney (UTS) and the Australian Film, Television and Radio School (AFTRS) will work collaboratively to deliver SCCI’s program. Acclaimed international leaders in fashion and architecture will be brought to Australia to headline the Hubs, their presence contributing significantly to the cultural conversation locally and nationally. The Hubs will launch with flagship, large-scale events at SCCI partner venues – the Powerhouse Museum, UTS and AFTRS – and be rolled out on a more intimate scale through community-focused exchanges at SCCI headquarters in inner-Sydney Paddington. Ensuring both broad and specialist appeal, the SCCI program will be oriented towards a range of audiences: top-tier Australian professionals working in the two selected mediums, other practitioners and young professionals in these fields, fashion and architecture students, businesspeople, children, adolescents, and the interested general public. In line with SCCI’s philanthropic mission, as a project of the Sherman family’s charitable foundation, all events will be free. All events will be professionally filmed and edited, and the resulting short documentary made available to film festivals worldwide, reaching international audiences. MEDIA CONTACTS: For further details and briefings with the SCCI team and general press inquiries, please contact Claire Martin Articulate, 0414 437 588, Claire@articulatepr.com.au or Kym Elphinstone, Kym@articulatepr.com.au 0421 106 139. Culture in its broadest sense has been Dr Sherman’s focus since childhood: fashioning atypical clothes with her beloved grandmother Gita, visiting galleries with her artist aunt Sylvia, encouraged to read voraciously by her journalist turned businessman father Eric, together with university art history studies and advanced literature degrees – Gene’s world continues to be defined principally by visual vocabulary and the exchange of ideas. SCCI follows Dr Sherman’s 30 years of intensive cultural activity through Sherman Galleries and Sherman Contemporary Art Foundation. During the two decade-plus life of the respected Sherman Galleries, the double-site Paddington-based institution worked with multiple and now celebrated artists including Shaun Gladwell, John Olsen, Mike Parr, Janet Laurence, Guan Wei, Cai Guo Qiang, Xu Bing, Wenda Gu, Zhang Huan often in the early days of their careers. Touring exhibitions of Australian artists were mounted and dispatched to Japan, Korea, Hong Kong, Singapore, Taiwan and various Australian cities. Established in 2008 SCAF has presented 35 projects, each with a highly focused program and widely known and respected publication, which have been noted by curators, museum directors, critics and art historians throughout the Asia Pacific region and in many parts of Europe and the USA. Ai Weiwei, SANAA, Dinh Q. Lê, Yang Fudong, Jonathan Jones, Jitish Kallat, Shaun Gladwell, Janet Laurence, Christian Thompson and Brook Andrew, to name just a few artists, created often monumental installations as part of the SCAF program. A key project at SCAF was Fugitive Structures, a four part architectural series in partnership with BVN (2013-2017) included Pavilions by young to mid career architects including Vo Trong Nghia, Green Ladder (Vietnam), Sack and Reicher + Muller with Eyal Zur, SWAY (Israel) and Australia’s Andrew Burns Crescent House and Robert Beson and Gabriele Ulacco AR-MA Trifolium. Several Pavilions have had follow-on siting’s, with Vo Trong Nghia’s Green Ladder installed in Brisbane (and an-as-yet-to-be-named public site), Andrew Burns’ Crescent House has been permanently sited in the gardens of Melbourne’s Heide Museum of Modern Art.